If you're torn between the elegance of our Plain Moldings and the dazzle of our Gold Foil design, might we suggest the best of both worlds! 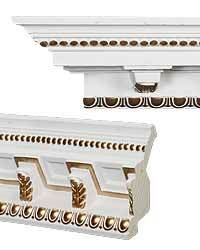 It's our PreFinished crown molding, showcasing vibrant metallic paint or hand applied antiquing. 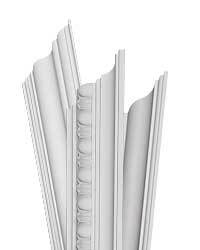 This crown is so unique... each is an original work of art, like a masterpiece on your wall! Enjoy. An iconic mark from ancient Greek architecture. One of the oldest styles, it can be found in history as early as 500 BC. 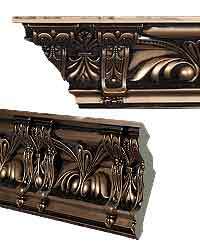 This molding can stand alone or be coupled with other types of moldings. 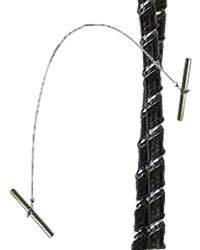 Usually a plain or cove molding coupled with a humble "rope" decoration.